Looking for information on Seattle Newspapers? Visit our featured newspaper guide. One of the largest cities in the Pacific Northwest region of the United States. It is located in the state of Washington between Puget Sound and Lake Washington nearly 108 miles south of the U.S./Canadian Border in King County, of which it is the County Seat. As of 2005, the city had an estimated population of 573,000 and a metropolitan population of around 3.8 million. Seattle is the hub for the Greater Puget Sound region. Its official nickname is the Emerald City because of the lush evergreen trees in the surrounding area; it is also referred to as the Rainy City, the Gateway to Alaska, Queen City, and Jet City, due to the local influence of Boeing. Residents are known as Seattlites. The entire region is known for its liveability, culture, and beauty. This might be one the reasons that Seattle's real estate market has remained one of the hottest markets in the nation. 3 BD, 2 BA split-level home in a great location. 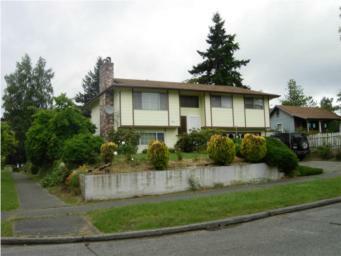 Want the quality of Seattle real estate but outside of the big city? Try the Eastside and search for Bellevue Real Estate. Or for another great waterfront community try searching for Bellingham WA Real Estate. Although there are no officially designated neighbor­hoods in the city, Seattle has over 30 informal neighbor­hoods, each with its own unique character, real estate, and interesting qualities. Here's where you can learn about them all. Before you start your Seattle real estate search this guide will give you detailed information about each neighbor­hood, including natural features, housing styles, nearby shopping, schools, parks, and more.